Funeral services for Luella Erickson of Roseau will be held on Monday, February 11th at 1:00 PM at the Roseau Community Church. Visitation will be on Sunday, February 10th from 5-7 PM with a 7:00 prayer service at Helgeson Funeral Home in Roseau; and one hour prior to the service. Interment will take place at a later date at Falun Cemetery in rural Roseau. 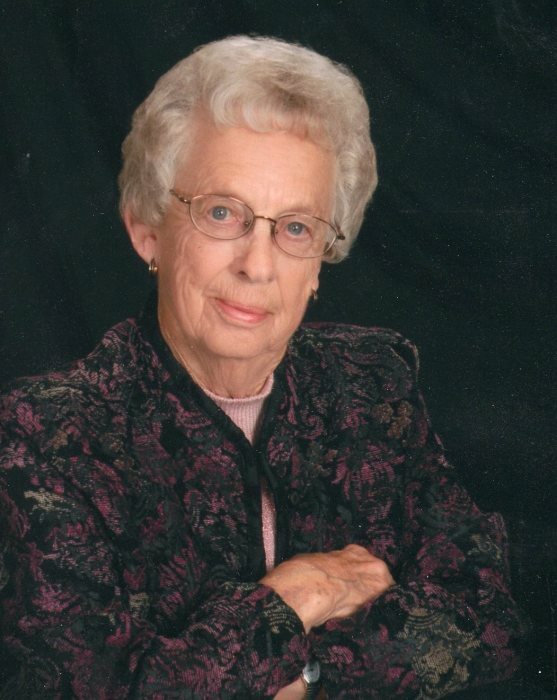 Luella Cecelia Erickson of Roseau, MN passed away February 5, 2019 at the LifeCare Roseau Manor at the age of 91. Luella was born on June 18, 1927 in Roseau County, MN to Emil T. and Cecelia (Mattson) Roseen. She graduated from Roseau High School then attended her normal teaching training. She taught in various country schools – Malung, West Falun, Skime and Mende School. In 1951 she went back to Bemidji to get her teaching degree. In January 1952 she began teaching in Littlefork, MN. She taught there for 2 ½ years. She and Arne L. Erickson were married on December 25, 1947. Luella continued her teaching in Roseau for 34 ½ years before retiring in 1982. She was a wonderful teacher and influenced the lives of many young children. Arne and Luella never had children of their own, but many children occupied a place in their lives, home and hearts. Luella is survived by her siblings, Lois Bergland of Thief River Falls, MN, Lyle (Karolyn) Roseen of Roseau; sisters-in-law, Marion Roseen of Roseau and Marian (Erwin) Nelson of Roseau; and many nieces and nephews. She was preceded in death by her husband, Arne in 2010; parents; and siblings, Irene (Tilford) Wicklander, Lloyd Roseen, Eunice (Kenneth) Hipsher, Edna (Paul) Harms; brother-in-law, Phillip Bergland and sister-in-law, Darlene Roseen.